Marcelo Bielsa’s dreams on Saturday night were liable to be infected by counter-attacking players in the colours of West Bromwich Albion. 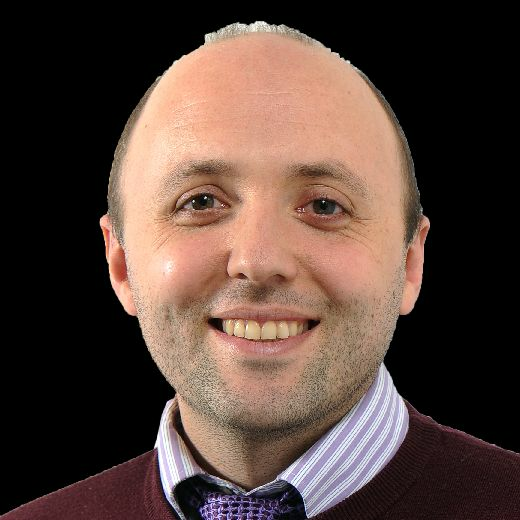 With his eyes open he spent an evening at The Hawthorns looking at nothing else, experiencing what English football tends to describe as a wake-up call. Barry Douglas used that phrase at the end of a beating which got the better of his own temper and while the taste of defeat in England was nothing new for Bielsa, the sting of a vicious rinsing was a first. There is jeopardy in games against West Brom this season, however imperfect their own results might be, and Bielsa was serious last week when he said that no offensive line in the Championship is able to dish it out like Darren Moore’s. West Bromwich Albion 4 Leeds United 1. The numbers said so, and West Brom are turning in scorelines like Saturday’s with regularity, but even without the cautionary tale of statistics, the names all registered: Jay Rodriguez, Harvey Barnes, Hal Robson-Kanu and Matt Phillips. Dwight Gayle took no part until the 80th minute and then scored with his first shot, a casual, humiliating back-heel. 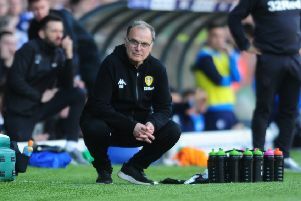 Bielsa had named the majority in dispatches beforehand and he crouched on his haunches in helpless thought as Leeds United naively invited every one of West Brom’s weapons onto them. Bielsa’s expression never changes week to week or result to result and as West Brom polished off a 4-1 win, he looked as emotionless as he had while Leeds were outclassing Wigan Athletic seven days earlier. It is the same facade rain or shine and his reaction was as consistent, shielding his players from blame. In his preparation he had hammered home the importance of Leeds passing accurately and intelligently, warning that West Brom’s better players were tailor-made for transitional possession. Over 90 minutes Albion saw just 28 per cent of it but made their pace and physical strength work with the useful scraps which Leeds presented to them constantly. Matt Phillips - a winger with the physique of Kyle Bartley but the pace of Kyle Walker - epitomised the ferocity with which West Brom countered and Leeds were worn down in stages until their composure deserted them completely in the last 10 minutes. Tactically, as Bielsa admitted, the honour went to Moore, who gambled wisely on the odds of catching Leeds in possession. “The head coach of West Brom found a game which suited the features of his team,” Bielsa said. “That was precisely what I had to avoid.” Yet none of what The Hawthorns saw made the bigger picture in the Championship any clearer: Leeds beaten 4-1 by a West Brom side who lost 4-1 three weeks ago to a Derby County team who in turn suffered the same hammering at home to Leeds in August. Put like that, the league is anyone’s. Bielsa was generous, though, in defending his players and the repetitive mistakes, the countless stray passes, which gave West Brom’s weapons acres of the pitch to break into. Albion were kept at bay in the first half but the trend of the game was set early on as Tosin Adarabioyo smacked a volley just wide, Jay Rodriguez hit the face of the crossbar from 20 yards and Robson-Kanu curled a finish just over. Intermittently, and towards the end of the half, Leeds got involved and set up chances which Pablo Hernandez and Mateusz Klich failed to finish inside Albion’s box. West Brom’s first, on 51 minutes, arose after Kemar Roofe - back at the club where it all started for him but barely able to make the crowd notice him - appealed for penalty beneath a challenge from Craig Dawson. Lee Mason, the referee, waved a soft claim away and West Brom covered the pitch quickly, working the ball wide to Robson-Kanu who steered a low shot across Bailey Peacock-Farrell. Peacock-Farrell has been quiet cog in Bielsa’s machine this season: neither spectacular nor ruinous in the manner that Felix Wiedwald was last season. But having been beaten by Robson-Kanu’s low strike, he sold what was left of the game in the 67th minute when Phillips robbed Mateusz Klich on halfway and beat Peacock-Farrell with a hit from long range which slid off the keeper’s hands. Much of what came afterwards was hard to comprehend. Bielsa substituted Douglas, one of his steadier players, and asked Jack Harrison to pair up with Gjanni Alioski on the left. United’s head coach described the change as “risky” and Douglas reacted to it with undisguised annoyance. With time to think, he took to Twitter and apologised immediately after the game. Samuel Saiz did not appear until 12 minutes from time but nabbed an assist in injury-time with a chipped pass which Hernandez - as devoid of his radar and poise as he has been in months - headed into West Brom’s net. Leeds were 4-0 down at that stage having invited Barnes to run through a tundra-like expanse in their defence on 82 minutes and given Gayle a opportunity which the forward turned in with a casual flick of his heel 60 seconds later. Bielsa’s appointment came with warnings of this: that the football he plays and the imagination he inspires can lead on occasions to a trampling underfoot. It was he who spoke on Thursday about football threatening to kill itself by losing sight of the value of entertainment and flair. In sickness and in health it could not be said that he is doing anything to hasten entertainment’s demise.